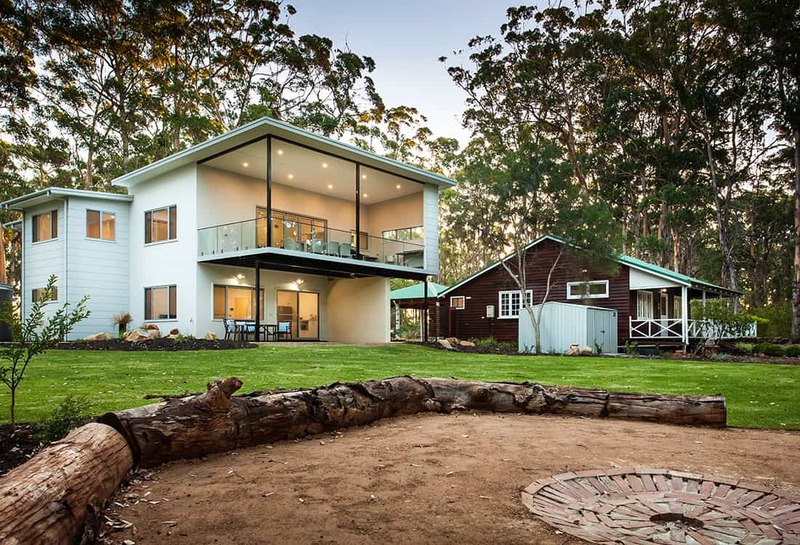 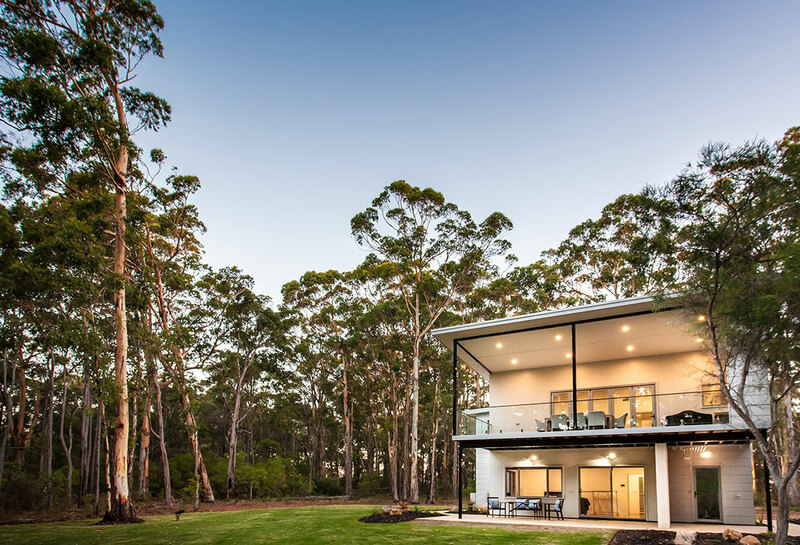 In this modern, 2 story, timber framed Margaret River project, Tectonics Building Design has cleverly integrated the sites existing ‘Group Settlement Cottage’ with a new, modern build. 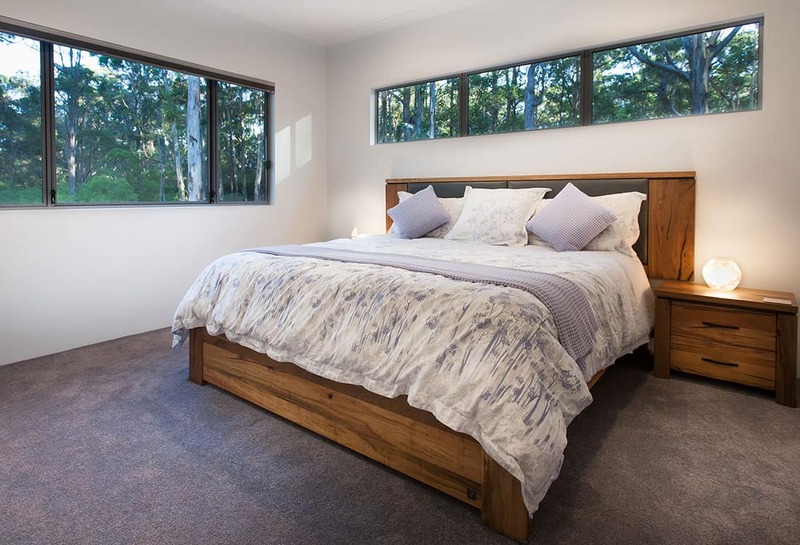 The owners brief for a modern and private home, suitable for people of all ages, combining spaces for private courtyards and large family entertaining. 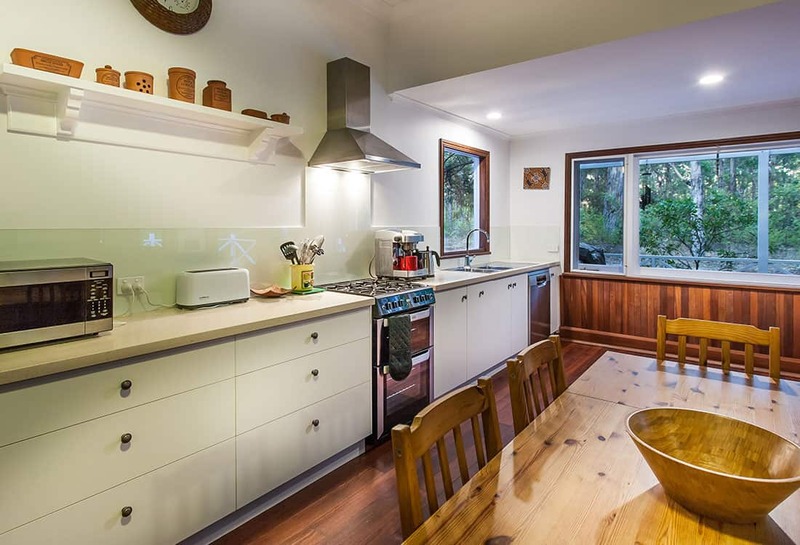 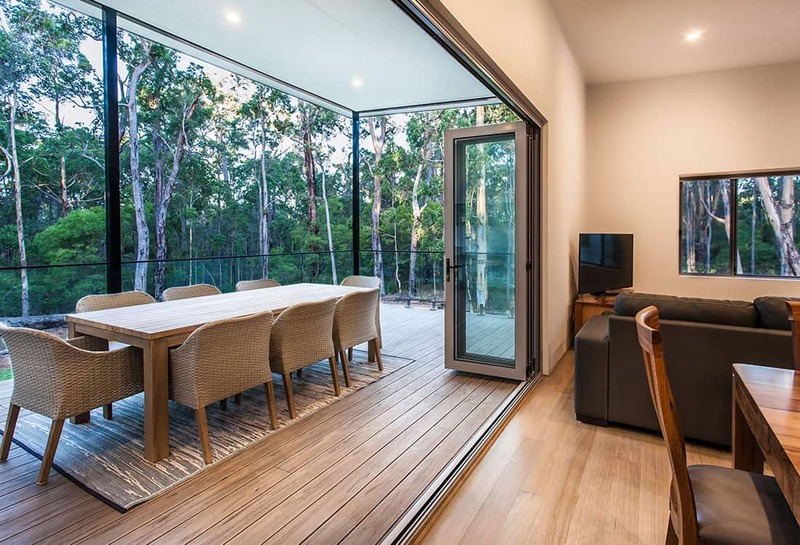 Set amongst an existing stand of tall karri trees allowed for an upper living zones and deck area to maximise the views of the surrounding bush and to maximise natural light.